WASHINGTON -- Russian air strikes Friday (March 16) continued to pummel civilian enclaves in Eastern Ghouta, as US and UN officials castigated the Kremlin for violating the terms of a ceasefire in the last opposition bastion near Damascus, Syria. 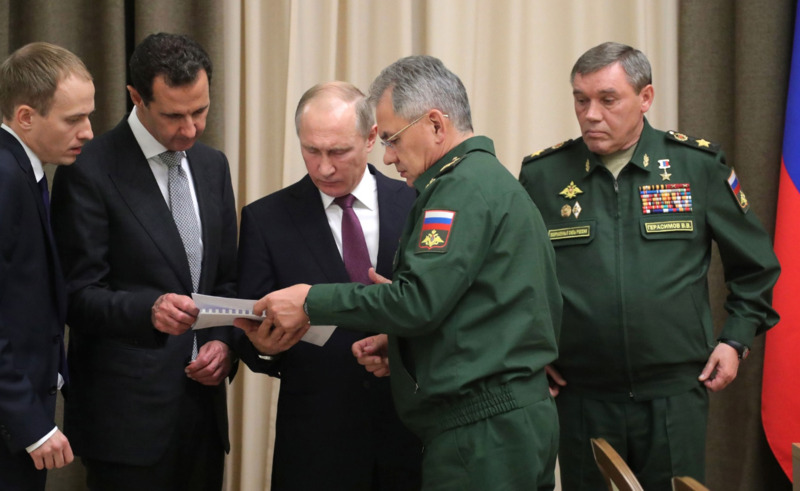 Russia is "complicit" in atrocities perpetrated by Syrian President Bashar al-Assad because of its "deliberate" choice to violate the terms of the ceasefire, the Pentagon said Thursday. Thousands of civilians poured out of Eastern Ghouta as the capture of a key town brought Syria's government even closer to retaking the devastated district. "The Russians made a deliberate choice not to restrain the Assad regime," Pentagon spokeswoman Dana White told reporters. "Thus, the carnage in East Ghouta continues. 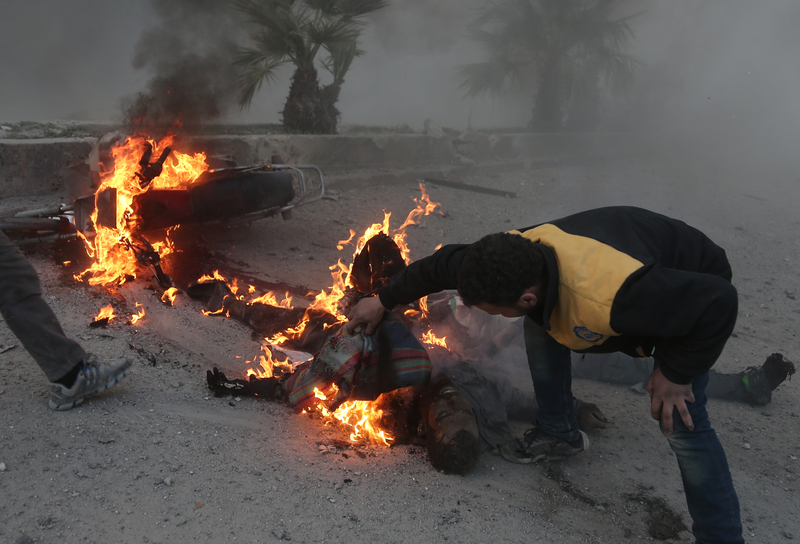 Russia is morally complicit and responsible for Assad's atrocities." "We urge Russia to compel the Assad regime to stop killing innocent Syrians and allow much needed aid to reach the people of East Ghouta and other remote areas," she said. "We support our diplomats in their efforts to resolve the conflict with the United Nations-backed Geneva process." 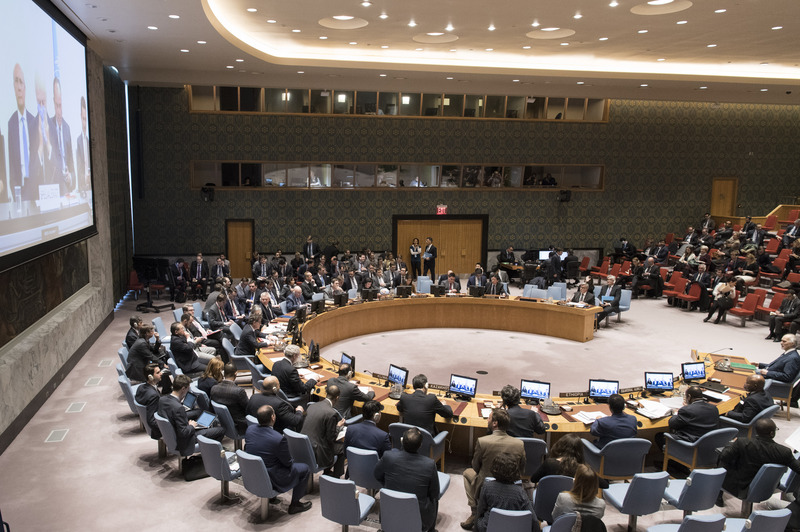 The 15 UN Security Council members unanimously adopted a resolution last month demanding a month-long ceasefire. But it has not been respected. The Russia-backed Syrian army and allied militias began a fierce bombing campaign February 18 on Eastern Ghouta and then launched a ground offensive a week later. Russia on Thursday indicated it would carry on backing Assad's military offensive in Eastern Ghouta. "We will continue fighting terrorists, we will finish them off, we will help finish them off in Eastern Ghouta, where the Syrian army is now conducting operations with our support," Russian Foreign Minister Sergei Lavrov said. The Kremlin and Assad regime routinely describe any part of the opposition with the epithet "terrorists". The Russia-backed assault on Ghouta has killed more than 1,300 civilians, about a fifth of them children. The carnage continued Friday (March 16) as Russian air strikes on Kfar Batna and Saqba in Eastern Ghouta killed at least 57 civilians, according to the Britain-based Syrian Observatory for Human Rights. The blistering Syrian government onslaught, backed by the Kremlin, has prompted international outrage, including accusations by the UN that the government was orchestrating an "apocalypse". The Syrian regime's Russia-backed air and ground campaign has cut off desperately needed aid deliveries to tens of thousands of besieged civilians, with dozens of patients treated for breathing difficulties -- symptoms consistent with a toxic attack. "Russia is either incompetent, committing illegal acts or both," White said. "Russia is propping up the Assad regime, not targeting al-Qaeda-affiliated terrorists in Syria. Russia could stop the civilian casualties in Syria." "All civilised nations must hold Iran and Russia accountable for their role in enabling atrocities and perpetuating human suffering in Syria," US National Security Adviser H. R. McMaster said separately. "It is time to impose serious political and economic consequences on Moscow and Tehran," he said without giving more detail. Along with Moscow, Tehran is the Syrian regime's other major ally. "Assad should not have impunity for his crimes and neither should his sponsors," McMaster said, adding that Moscow "has done nothing" to encourage Assad to ensure delivery of humanitarian aid, or to respect ceasefire and de-escalation agreements. The United States "remains prepared to act if we must", US Ambassador to the UN Nikki Haley told the UN Security Council March 12. Haley and McMaster both reiterated that the United States had ordered missile strikes on a Syrian air base last April in retaliation for a sarin gas attack blamed on Assad's forces. The gas attack killed more than 80 civilians. While the Russian-backed carnage continues in Syria, President Vladimir Putin paradoxically called on Russian citizens ahead of the presidential election Sunday (March 18) -- widely believed to be rigged in Putin's favour -- to be guided in their vote by their "conscience, understanding of truth and fairness". Moscow has insisted there is no evidence for a chemical attack despite being faced with numerous videos and pictures to the contrary.